This attack does 5 more damage to defending pokemons. Kill instently but is just chosseble if low on HP. Comments : This is my pokemon. 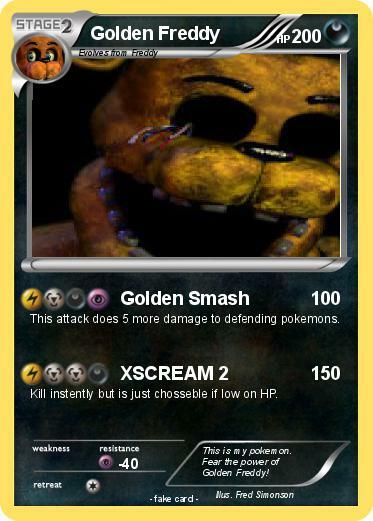 Fear the power of Golden Freddy!